Scroll down for pricing and options. 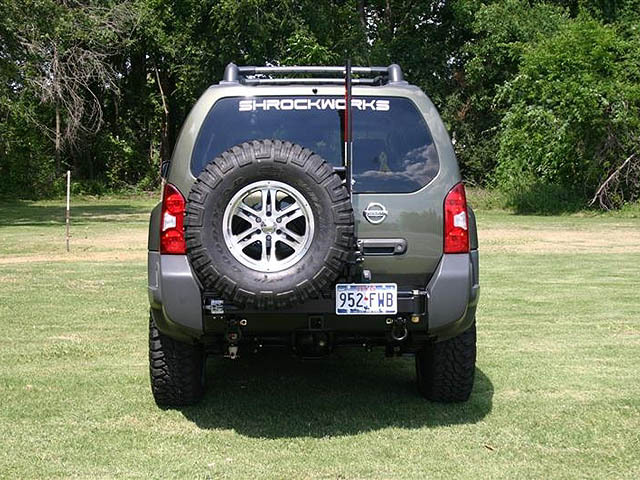 If you need a stout rear bumper for your Xterra and want to relocate your low hanging spare tire, take a look at our rear bumper with swing out tire carrier. 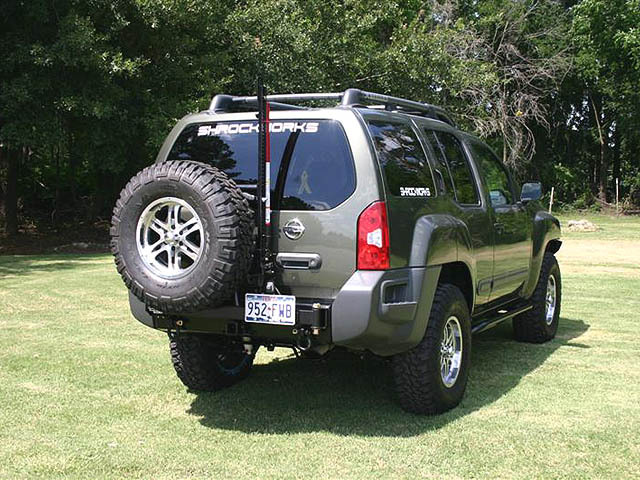 This is the best rear bumper and tire carrier on the market for your Xterra. 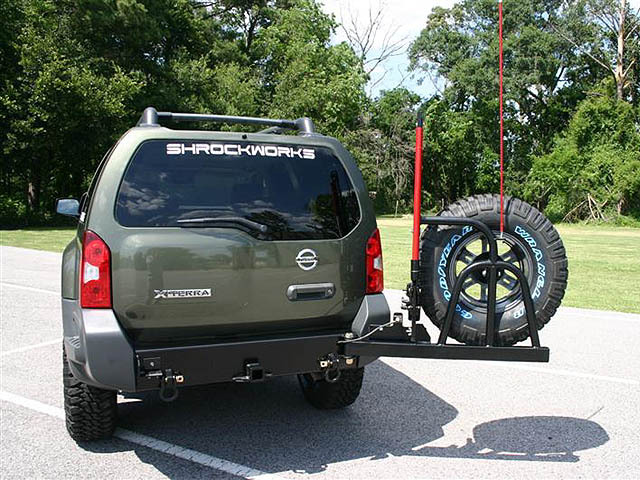 The hinge and latch are the most important pieces when it comes to a swing out tire carrier and we made sure to use the best available. 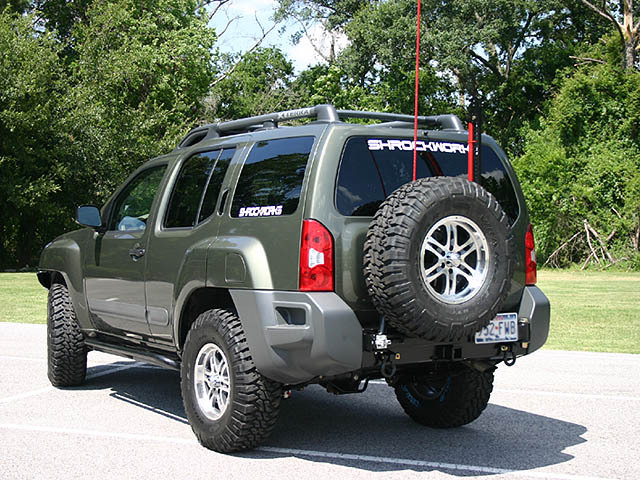 This will keep your tire rack arm tight and free from rattles for a lifetime of service. 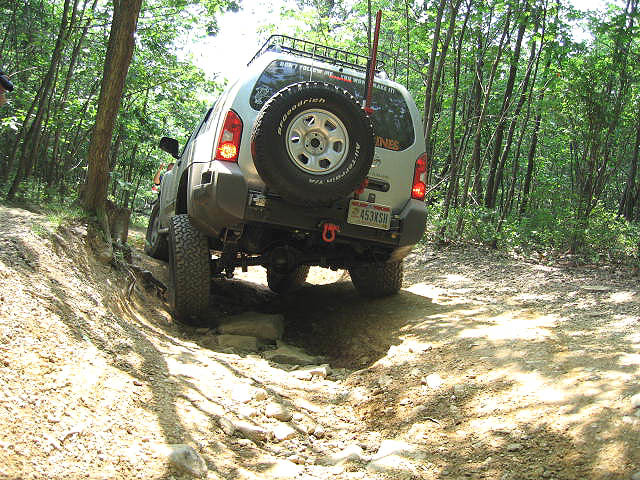 The bumper is made from 3/16" and 1/4" steel plate. The recovery points are 1" thick. 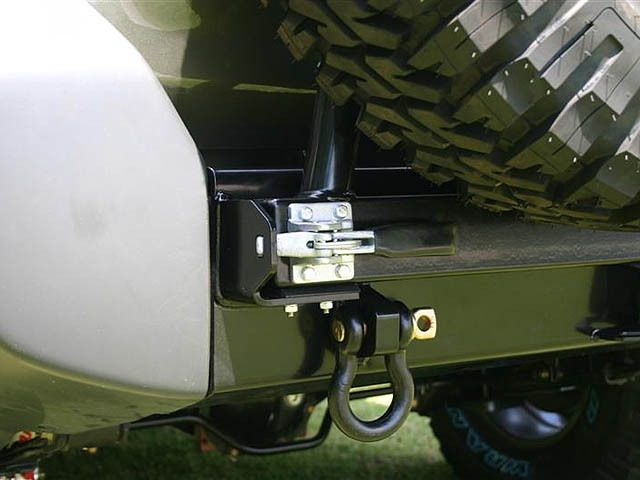 A 2" receiver hitch comes standard with a safety chain plate and a mounting point for your trailer plug. This bumper was a a great addition to my Xterra. 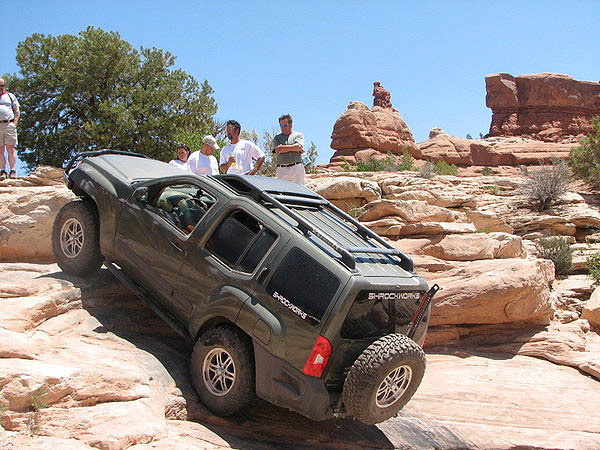 I had my tire on my roof and the tire carrier helped drop the center of gravity. 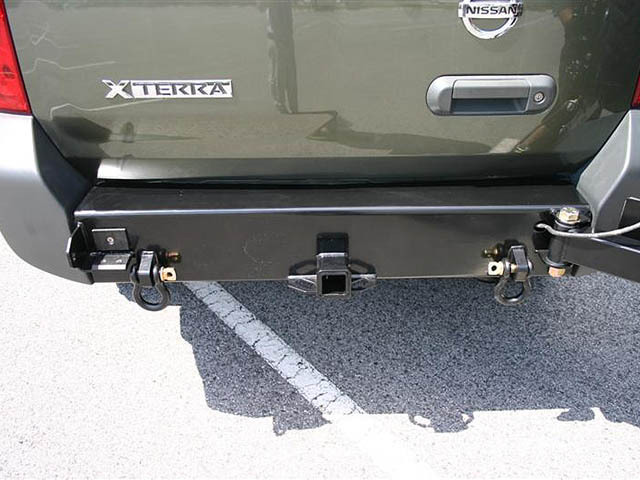 The 1" hinge bolt is sturdy and the bumper increases your departure angle so that you no longer drag the back end.